Samsung's chairman has instructed the company's top management to "strengthen Bada and focus on differentiating the quality of Samsungs smartphones" in order to compete with Apple's iOS and survive Google's acquisition of Motorola. A report by Reuters noted that local media in Seoul, South Korea were informed by Kim Soon-taek, the head of the Samsung Group, that "Chairman Lee [Kun-hee] told top managers to come up with various measures including M&As to enhance software competitiveness." Last month, Lee had encouraged Samsung managers to "boost software prowess, patent pools and talent," but that message has now broadened to include seeking out opportunities for mergers and acquisitions, which the company apparently sees as a faster track to building its software development skills. A more pointed report by South Korean newspaper Dong-a Ilbo stated that Samsung's chairman "urged his company`s executives to strengthen Samsung`s smartphone operating system Bada in responding to Google's takeover of Motorola Mobility." Lee was said to have convened a meeting with the company's vice chairman Choi Ji-seong, wireless division chief Shin Jong-kyun, image display division head Yoon Bu-keun, home appliances division vice president Hong Chang-wan, and IT solution division vice president Nam Seong-woo. Following a briefing on the potential outcomes of Google's purchase of Motorola and an update on Samsung's ongoing patent litigation with Apple, Lee reportedly "urged them to strengthen Bada and focus on differentiating the quality of Samsungs smartphones." It added that "senior Samsung executives are known to have agreed on significantly expanding the number of talented software developers and emphasized the companys technology prowess in hardware." Samsung is primarily a hardware manufacturer, but began work to develop its own Bada mobile software platform for powering its line of Wave smartphones last year, an effort intended to move its simpler embedded feature phone business into more powerful and profitable smartphone capable of running "Samsung Apps." Samsung's Bada-powered phones launched with greater success than Microsoft's entire Windows Phone 7 ecosystem, which Samsung also participated in as a licensee. According to Canalys, Samsung sold 3.5 million Bada phones in Q1 2011 and then 4.5 million in Q2, compared to a total of just 2.5 million Windows Phone 7 models in Q1 and only 1.5 million more in Q2. Despite owning its own platform, Samsung has focused much of its efforts on Android, with a popular Galaxy line of smartphones (hardware siblings to its Bada-based Wave phone) and a series of Galaxy Tab tablets. Last December, Samsung adapted its Galaxy smartphone to be sold with Google branding as the "Nexus S," the first phone to run Android 2.3 Gingerbread. If Samsung were to rapidly shift its focus toward Bada, it would decimate the market share of Google's Android platform, forcing Google to focus even more of its resources on building integrated phones with Motorola and further alienating smaller Android licensees such as HTC and ZTE. The move might result in an entirely different mobile landscape, with Apple, Samsung, RIM, and HP all promoting their own mobile platforms while Google focuses on integrated products with Motorola and Microsoft works closely with Nokia. Such a move by Samsung could also bring it into patent contention with Google and Motorola Mobility, the latter of which already threatened to bring patent action against other Android licensees and is currently engaged in patent lawsuits with Apple and Microsoft. Google could threaten offensive use of its new patents acquired in the purchase of Motorola Mobility in an effort to prevent Android licensees like Samsung from leaving the program. 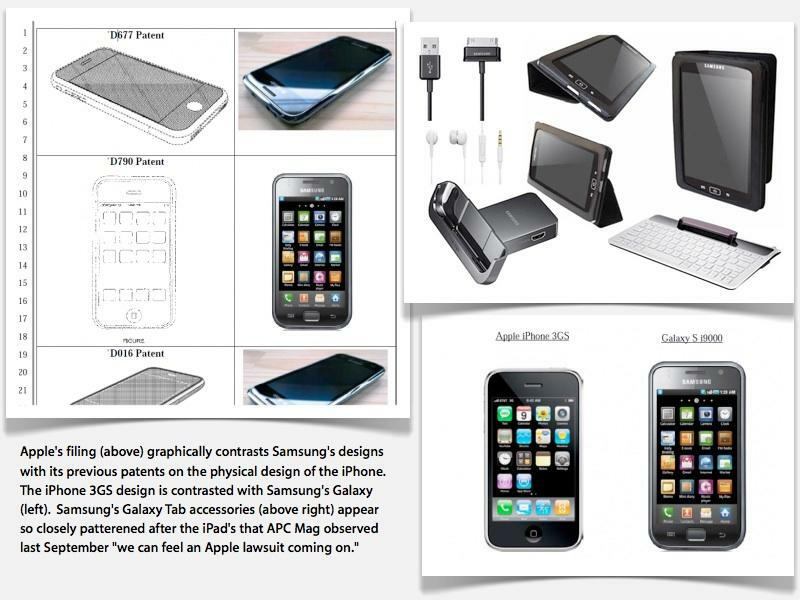 At the same time, Samsung faces litigation from Apple claiming that many of its products, including the Galaxy S, Nexus S, Epic 4G and Galaxy Tab, are "slavish" copies of Apple's own products.